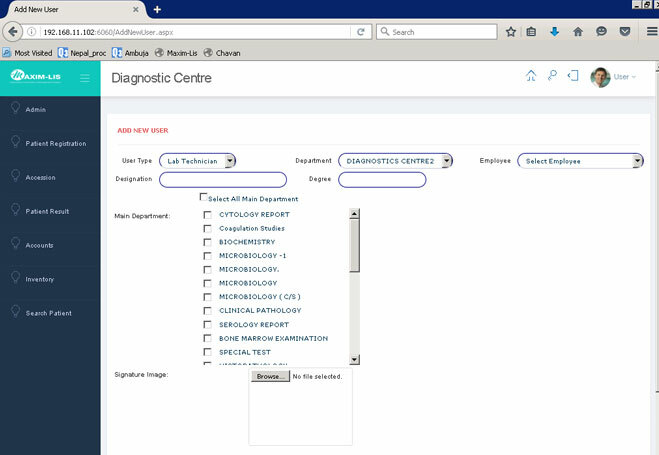 An integrate form of program that helps to manage and store data involve during diagnosis of entire medical procedure. In laboratory information system Birlamedisoft has different versions of software as per their application. Need to know more about software ? Download Presentation. Every laboratory deals with hundreds of patients everyday. Handling all of them is a tedious task. Our Laboratory software helps you keeping healthy and happy customers by reducing your efforts. 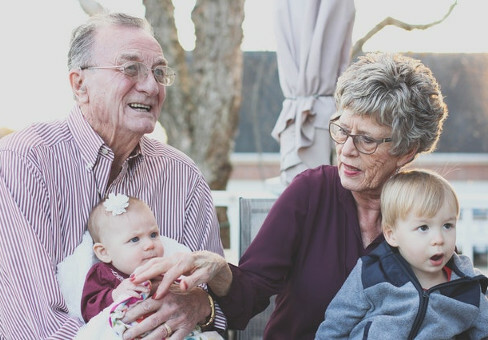 We understand you and that is why we have created a fully operational and friendly user interface that is easier to understand and works as a helping hand in your work. Collection center master, User master, Test master, Lab unit master, Account master. consist of Unlimited LAN terminals license, plus host of new features added. Complete package for making hi-tech automated pathology laboratory. Add/edit customer, Add/edit Doctor, Edit test, Patient search. 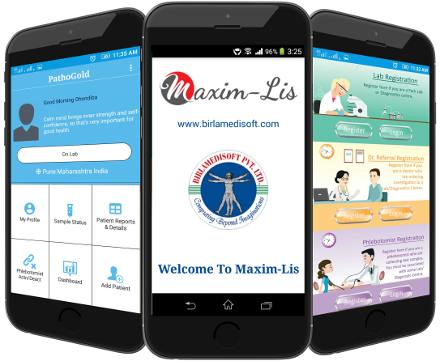 Maxim LIS comes with Billing, Inventory and Accounting management inbuilt in the software, Patients can access reports via Internet using Login Name and Password, Software as per NABL Guidelines. Specimen collection, Specimen rejection/hold, Sample status, Discard sample type report. Pathogold is desktop and online LIMS (Laboratory Information Management System) solution. It provides a technologically advanced alternative to traditional Cloud based softwares which needs 100% internet connection to deliver the reports. The software works in offline mode and deliver reports in online mode.